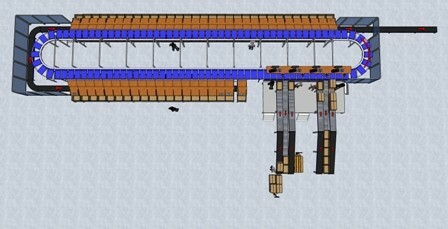 This sorter is developed around a carrousel of trays. 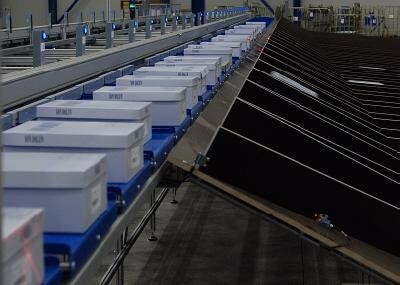 Each tray has a movable arm that can be electro-mechanically activated. 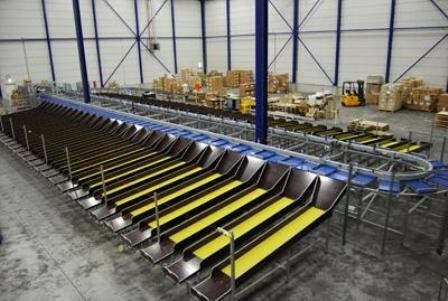 This arm slides the product deways from the tray into the chute. 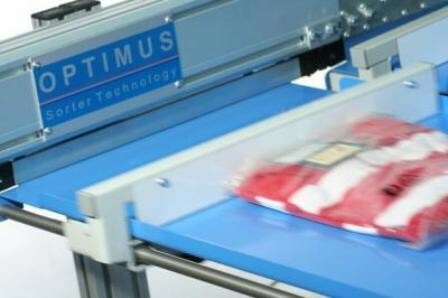 No additional drives are required which makes the Optisorter a very cost efficient product. 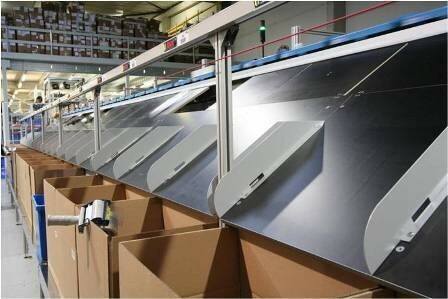 Infeed of products into the Sorter can be done manually and automatically. Unique feature of this OptiSorter is that it can be used in 3D design. The drive mechanism allows the trays to go left, right and up, downwards. 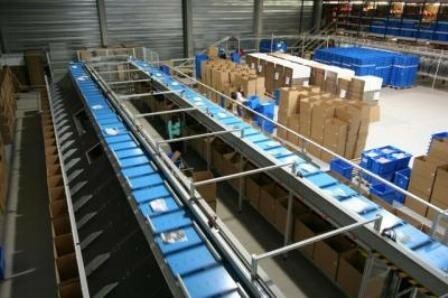 An application can be example that the in feed is on level 1 and the sorting is at ground level. 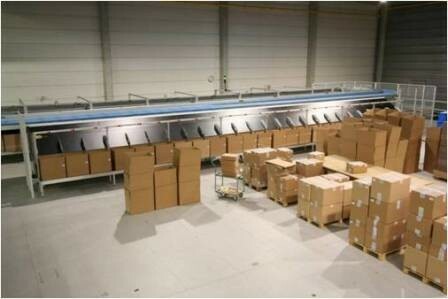 This type of Sorter is used for a wide variety of (fragile) products. 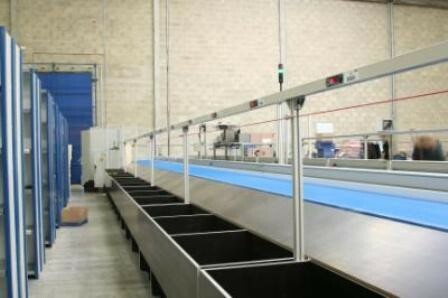 This sorter is able to sort longer items up to a maximum of 1.5 meters. 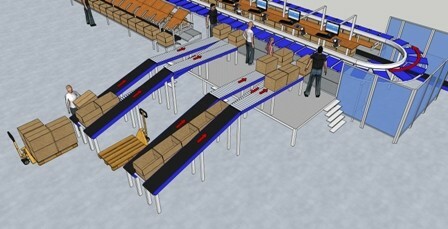 The sorter has a carrousel –trays concept. 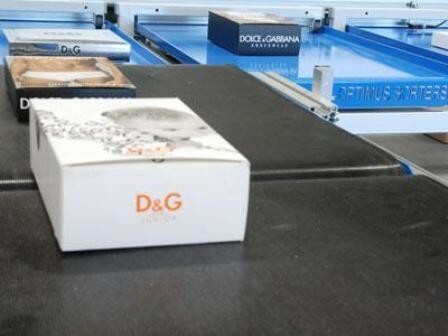 Between the trays there is an open space that allows the product to fall through. 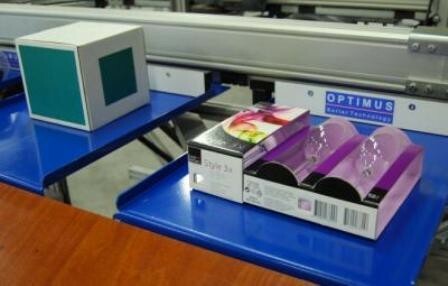 When the tray with the product passes the chute an arm can be activated and the product will slide between the trays and falls directly into the carton or chute. 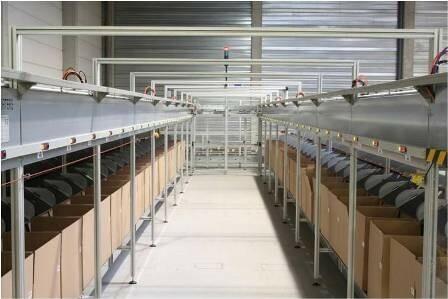 Capacity can go up to 6.000 trays per hour.